Here's a surprisingly long list of people exempt from the ObamaCare individual mandate. And as Dr. Hal Scherz reminds us in his latest OpEd, "Healthcare Reform For Thee, But Not Me", those with political "pull" are also seeking their own waivers and exemptions. David Catron: "The Truth About Hobby Lobby and the Supreme Court". Dr. Hal Scherz: "Healthcare Reform For Thee, But Not Me". New York Times writer (and medical student) Dhruv Khullar discusses how, "Medicine is More than Carrots and Sticks". Yet all the "pay for performance" incentives are leading to precisely this kind of sterile, "cookbook" medical care. This is one of the disturbing facets of American medicine under ObamaCare that I also discuss in my recent PJ Media piece, "How Big Medicine Will Affect Patient Care". Hsieh PJM OpEd: "The Eyes of Big Medicine: Electronic Medical Records"
PJ Media has published Part 3 of my 4-part series on the changing face of American medicine under ObamaCare, "The Eyes of Big Medicine: Electronic Medical Records". I discuss the ObamaCare mandate for physicians to implement electronic medical records (EMRs), how this can harm patient care, and the government's agenda in using EMRs to control doctors. Part 1: "Your Future Under Obamacare: Big Medicine Getting Bigger". Part 2: "How Big Medicine Will Affect Patient Care". David Catron adds labor unions to the list of "Obamacare's Useful Idiots". They join the "not-very-exclusive society of organizations and individuals duped by the White House into supporting Obamacare" but now learning the error of their ways, including the American Medical Association, Big Pharma, the American Hospital Association, and Catholic Health Association. Hey, at least misery loves company! 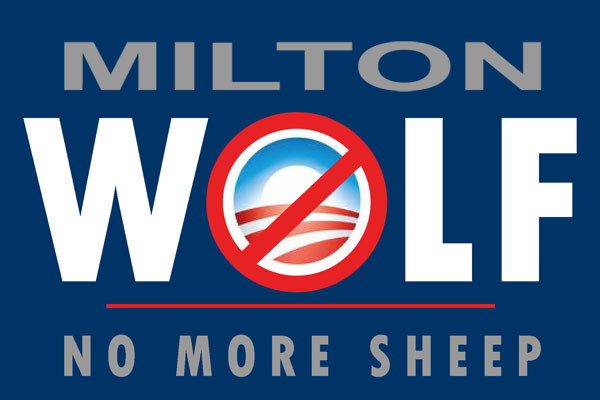 Dr. Milton Wolf is reportedly considering running for the US Senate, challenging incumbent Pat Roberts in the 2014 GOP primary. If you want to learn more about his views, you can read his many columns at the Washington Times or watch his Daily Caller videos. If Dr. Wolf decides to run, this could be a very exciting political development. He is a practicing radiologist who's been "in the trenches" in the battle against ObamaCare. He has strong Tea Party roots, and is not beholden to the current GOP establishment. I've featured many of his columns on the FIRM blog and they're worth reading. Although, I don't necessarily agree with all of his views on every issue, Dr. Wolf's candidacy could potentially move the country in the right direction. Washington Post: "Obama administration denies labor’s request for health care waiver". Related story from Politico: "W.H. rejects labor’s bid for Obamacare exemption". This is a really well-done commercial from Thailand, entitled "Giving". As Gawker says, "This three minute commercial puts full-length Hollywood films to shame". PJ Media has published part 2 of Rich Baehr's series on insurance under ObamaCare: "Is America Ready for Obamacare?" He discusses specific answers to common questions about what Obamacare means to consumers. This conference also looks interesting: "Direct Primary Care National Summit". I won't be able to make it, but others might find it worthwhile. At The Objective Standard blog, Jared Rhoads reviews a newly-published essay by the late John Lewis, "There is No 'Right' to Healthcare". I've just purchased the Kindle edition of the book, Medical Ethics, 2nd Edition (edited by Michael Boylan of Marymount University), and I look forward to reading the Lewis essay (as well as the other chapters)! Rich Baehr will also have a multipart series of articles on ObamaCare at PJMedia for the month of September. His focus will be on changes in the insurance industry, whereas mine will be on changes in medicine and practice. Here is his first piece, "Obamacare and the Consolidation Wave". Key point: It is inevitable that many people who currently have insurance will wind up in new plans with new doctors. PJ Media has published my latest OpEd, "Your Future Under Obamacare: Big Medicine Getting Bigger". This will be part 1 of a 4-part series on the changing face of American medicine, and what patients can do about it. In part 1, I discuss how new laws are spurring the growth of government-controlled "Big Medicine". Future installments will appear each Wednesday during the month of September at PJ Media. The Economist asks, "Will Obamacare destroy jobs?"